Its FINALLY here! It has arrived. The doors are open! To say I was excited for the opening of Target in Canada is an understatement. Every time I would go to the mall I would glance over to what once was Zellers and hope Target was FINALLY open. Well now it is and I am sad to say I was underwhelmed. It was tiny. Which shouldn't have come as a shock. I knew all along how big the Zellers was but seriously it was small. They tried to fit all their departments in which meant that each department didn't get the full range of products. They should have focused on their best selling departments allowing them to be larger and leave the other stuff for things like Canadian Tire etc. I also felt that it was poorly laid out. It was a maze. Things weren't where you thought they would be. And the prices... not spectacular. I wasn't wowed or floored or jumping up and down. They also didn't have any designer clothes collection to kick off the opening, which I thought was just plain silly. What I did like however was the selection of accessories (shoes, scarves, purses etc) and the home decor selection. Their grocery selection is decent but I wouldn't forgo the grocery store all together. I liked how eco friendly it was. The lights in the fridge/freezers only turned on when someone walked into the isle. Which was super cool. They also had a great selection of Essie Nail Polish and their beauty section was well organized which I liked. Overall I am not going to stop going to Target but I don't think I will be purchasing as much there as I had thought I would be. 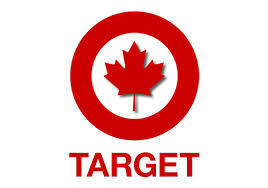 What did you think of Targets opening in Canada? Hey Jaclyn! Just found your blog and I totally feel your excitement about Target opening in Canada. Whenever I hear about designer partnerships or see other (American) bloggers with their awesome purchases I always feel a twinge of jealousy. Still waiting for Target to open in my city unfortunately. Did you find that the quality was good? I've heard it's comparable to Walmart but hopefully that's not the case! Our Target isn't open yet but I'm very anxious for it too. Our Zellers was pretty big (I think) so maybe ours won't be as underwhelming. Hopefully?